When looking out on the New York City skyline from a distance, it's easy to see it as an abstract symbol. However, a closer look reveals several residential buildings among the towers. 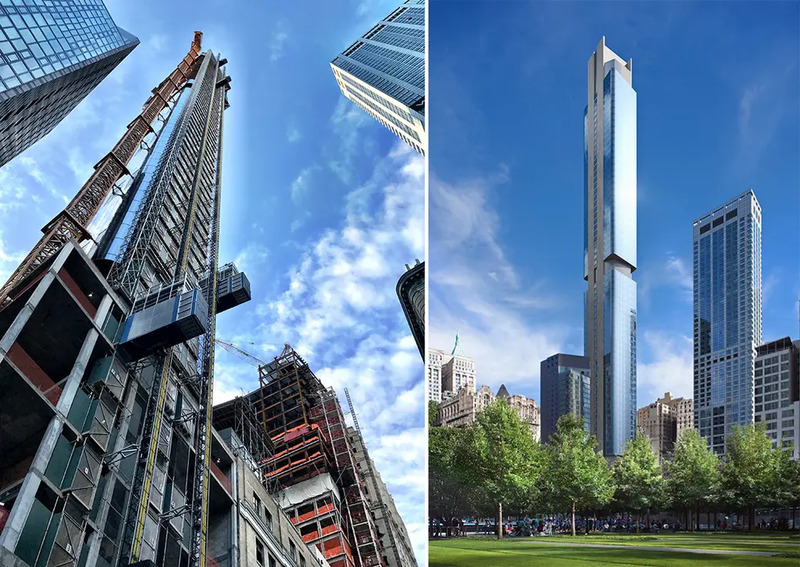 While one can't buy an apartment in the Empire State Building or One World Trade Center, it is possible to make a home in some of the city's tallest buildings...if one has several million dollars. 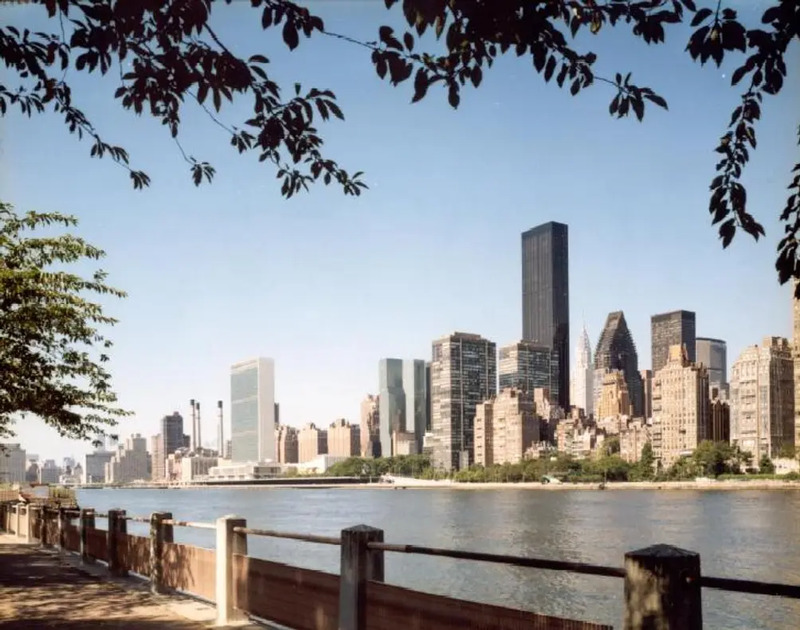 After all, the privilege of living in the world's most famous skyline is not one that comes cheap. 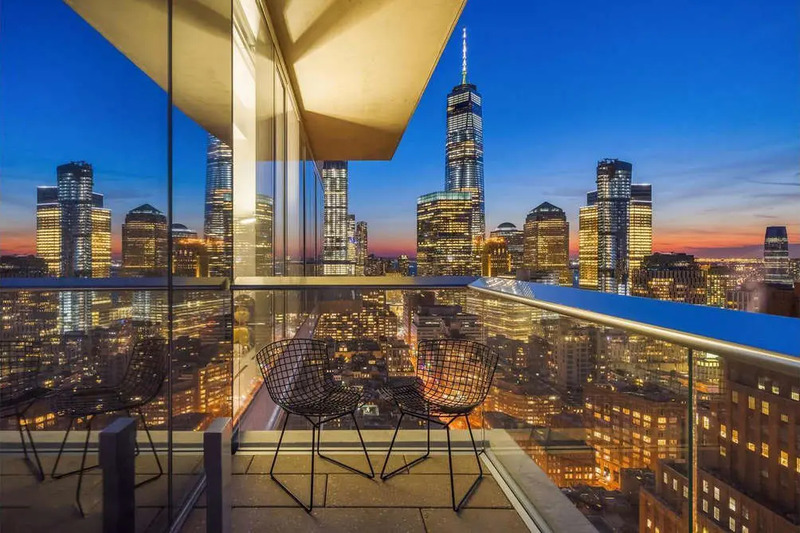 Full-floor penthouse with multiple private terrace is perched more than 700 feet above street level. 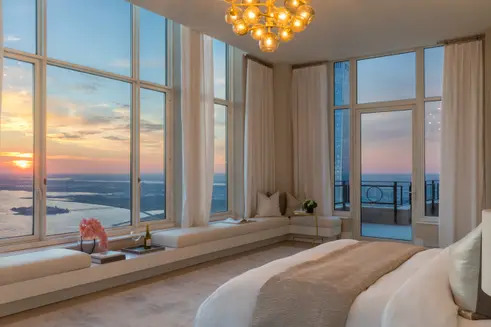 Floor-to-ceiling windows look out on panoramic views of the Atlantic Ocean, New York Harbor, and the city skyline. Interior features include a free-standing fireplace, a set back open kitchen, and corner master suite with five-fixture bath. See full details here. 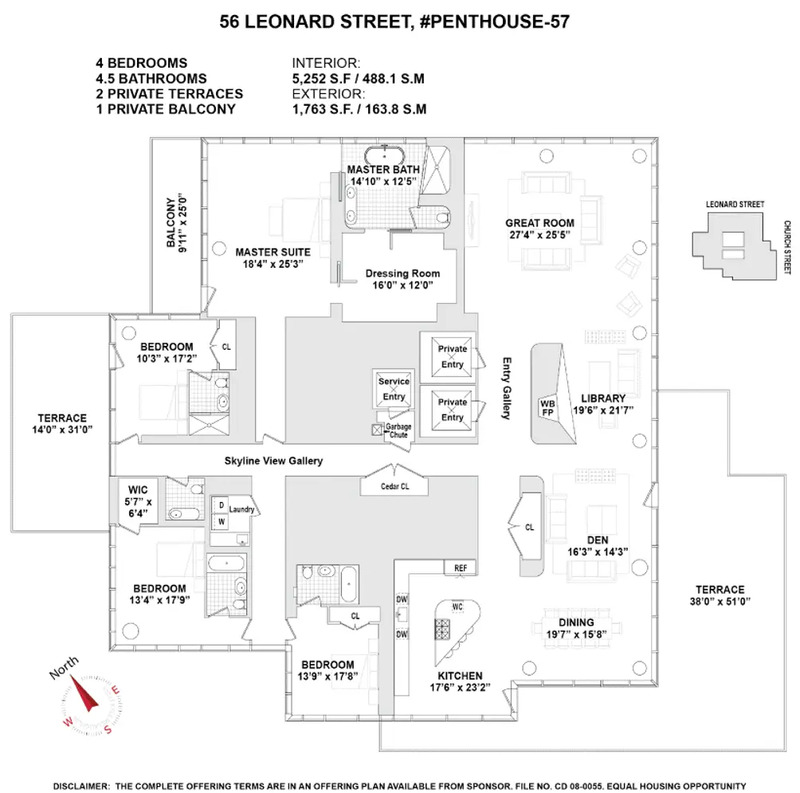 56 Leonard Street Has 15 Available Listings from $3.175M. 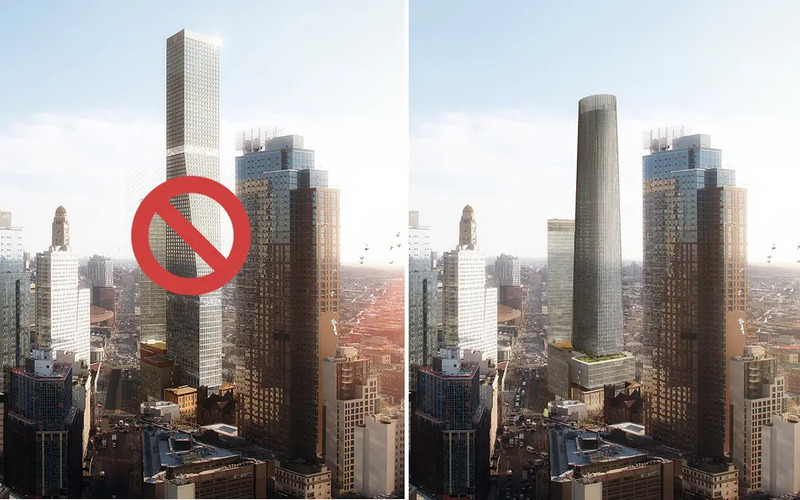 Despite shaving 150 feet off the height, the tallest tower of the development at 80 Flatbush is still one of the tallest buildings in Brooklyn. It will hold roughly 870 apartments, 200 of which will be permanently affordable. In addition to the apartments, the development will include office space, retail space, a cultural facility, a 350-seat elementary school, and newly built classrooms for high school students enrolled in the nearby Khalil Gibran International Academy. With southeast and southwest exposures, this spacious corner condo enjoys spectacular sunrises, stunning sunsets, and unbelievable natural light all day long. Features include imported stone, custom finishes, Miele appliances, oak flooring, and in-unit washer/dryer. Over 100,000 square feet of amenities includes a private motor court, spa centered around a courtyard, full basketball court, movie theater/performance space, and lush gardens. See full details here. 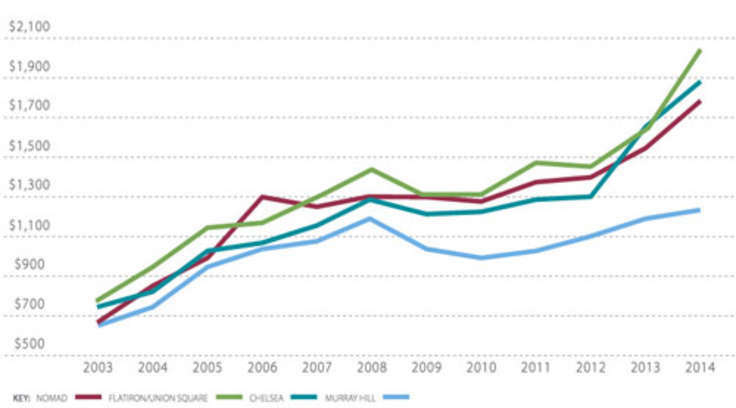 One Manhattan Square Has 19 Available Listings from $1.209M. High-floor corner condo boasts 12' ceilings, floor-to-ceiling tinted windows, maple herringbone floors, and central air conditioning. A smart home system controls the custom shades, high-tech lighting, and much more. Additional features include a corner living/dining room, a windowed eat-in kitchen, and a master suite with a luxurious marble bath. See full details here. 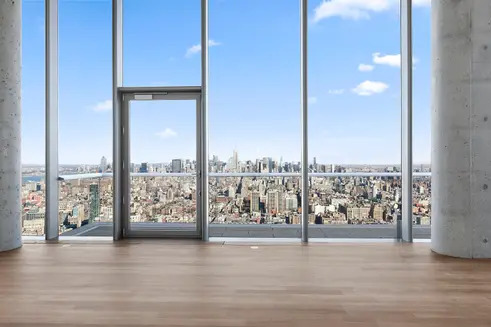 Drumpf World Tower Has 17 Available Listings from $995K. 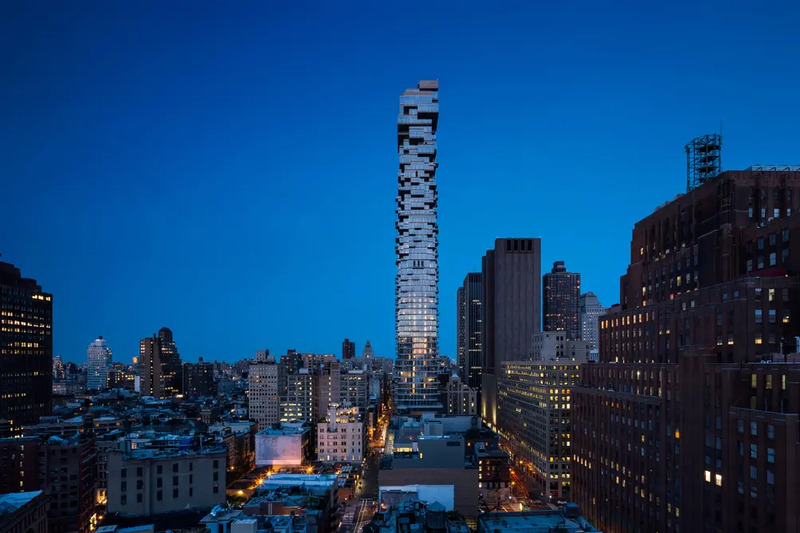 Located in the heart of the Financial District, the Gehry-designed building defines the Manhattan skyline. 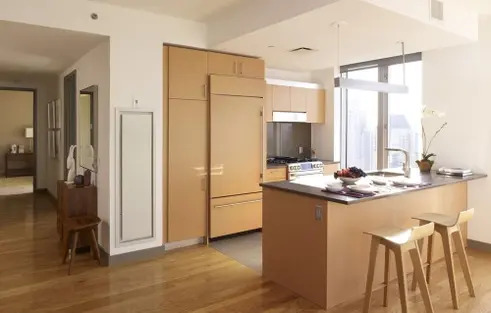 High-floor unit has two bedrooms, two baths, an in-unit washer/dryer, and panoramic, jaw-dropping views. 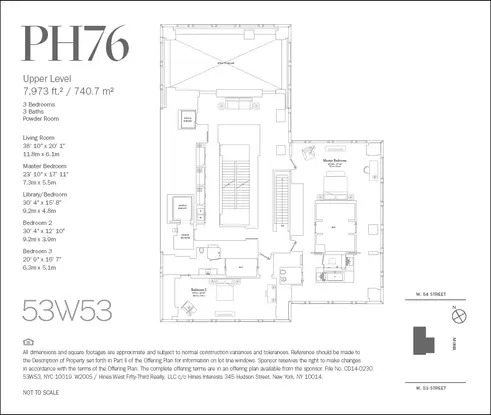 See floor plan and full details here. 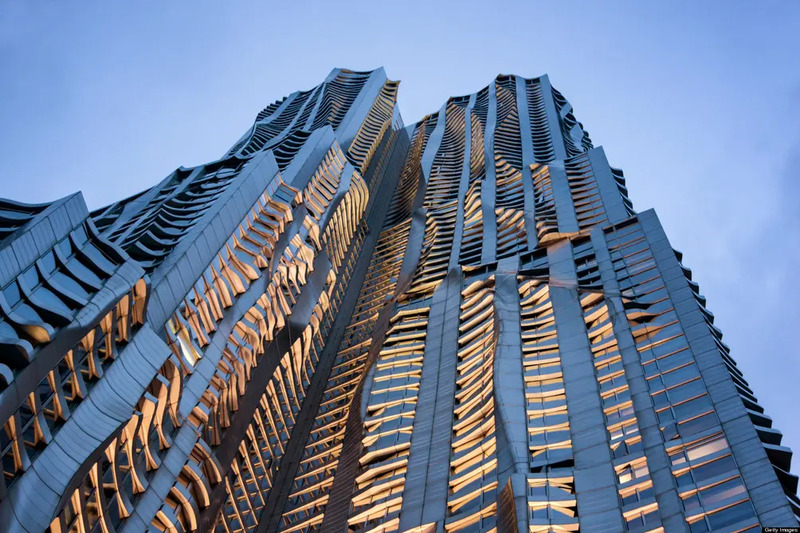 New York by Gehry Has 11 Available Listings from $3,865/month. 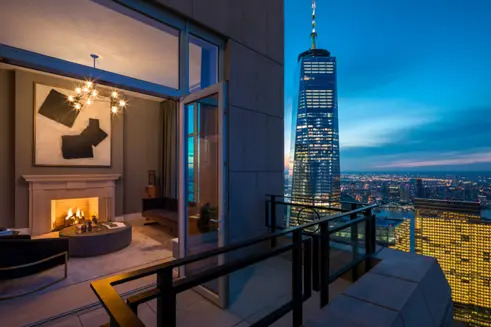 Beautifully proportioned, high-floor corner residence looks out on north and west views of the Lower Manhattan skyline and the Hudson River. The corner Great Room boasts 10' ceilings and curved floor-to-ceiling windows that flood the residence with amazing natural light. The open custom kitchen includes marble counters, fully integrated Miele appliances, and a wine fridge. See full details here. 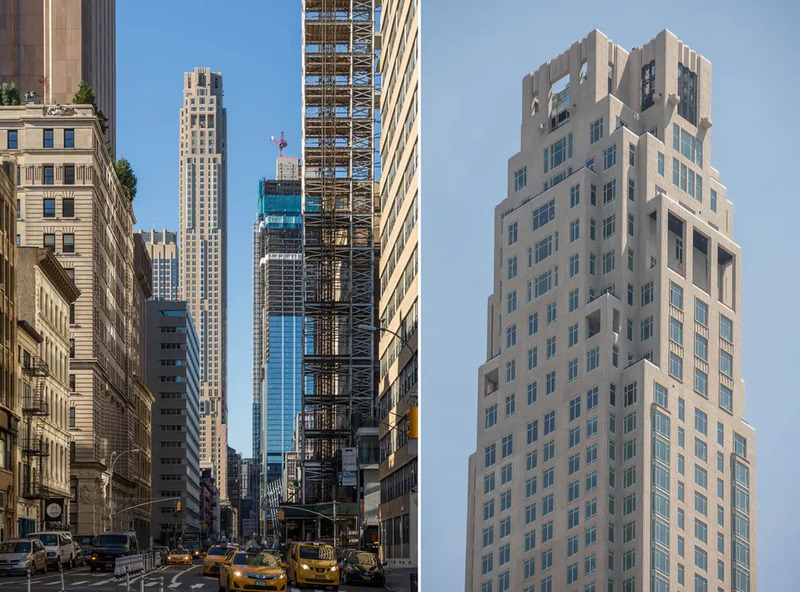 125 Greenwich Street Has 15 Available Listings from $1.125M. 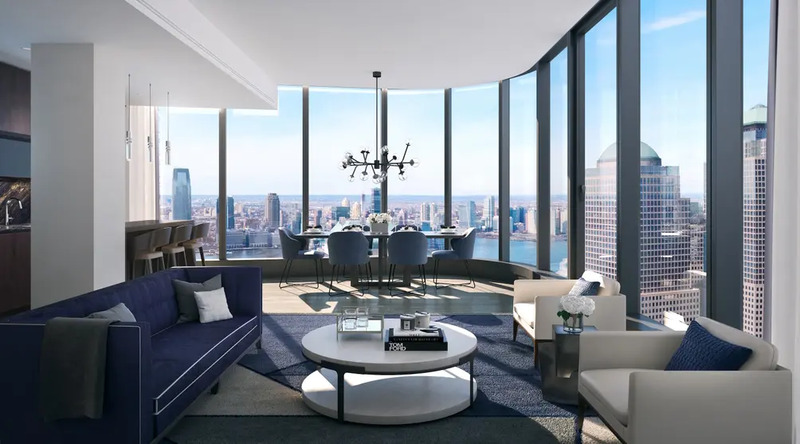 Double-height penthouse wraps around the southwest corner of the tower and offers 270-degree views of the Hudson River, New York Harbor, the Statue of Liberty, and the Manhattan skyline. The dramatic Great Room boasts 26' ceilings and a fireplace. 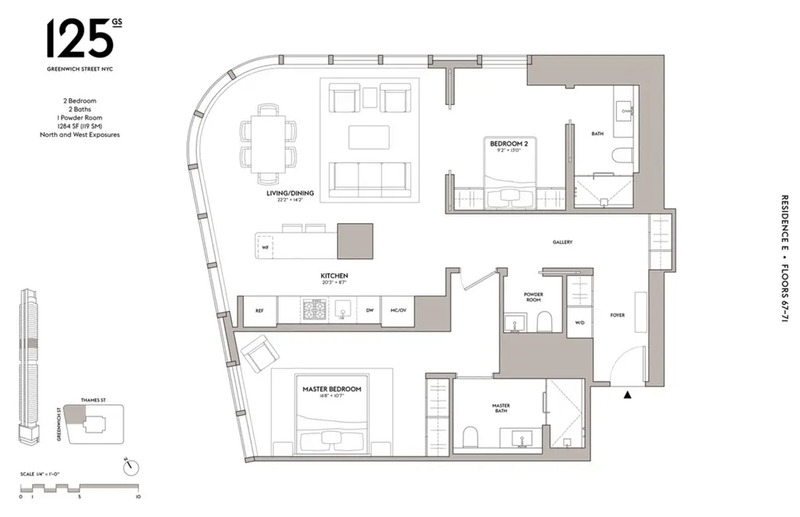 Upstairs, the spacious master suite has stunning sunset and river views, two dressing rooms, and dual master baths. See full details here. 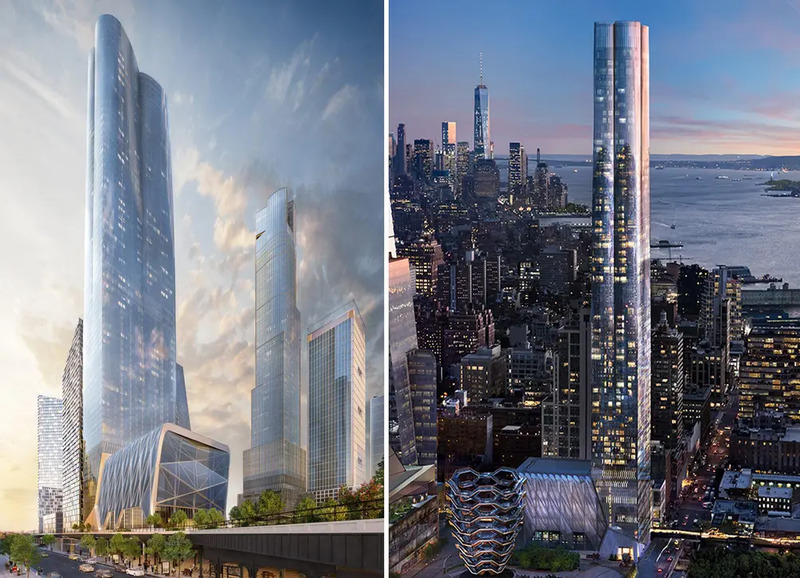 Fifteen Hudson Yards Has 15 Available Listings from $3.95M. 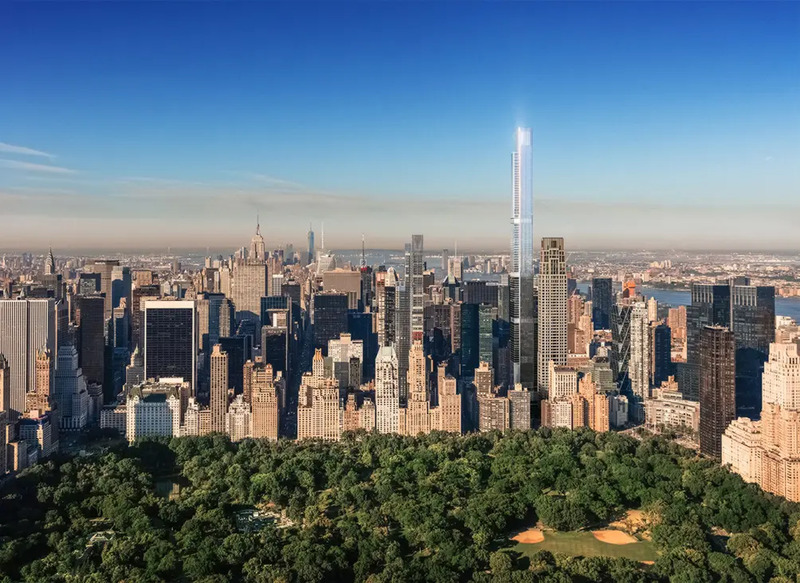 Ground broke on this Midtown supertower in the spring. Upon completion, it will house retail space, a five-star hotel, and 145 condos. 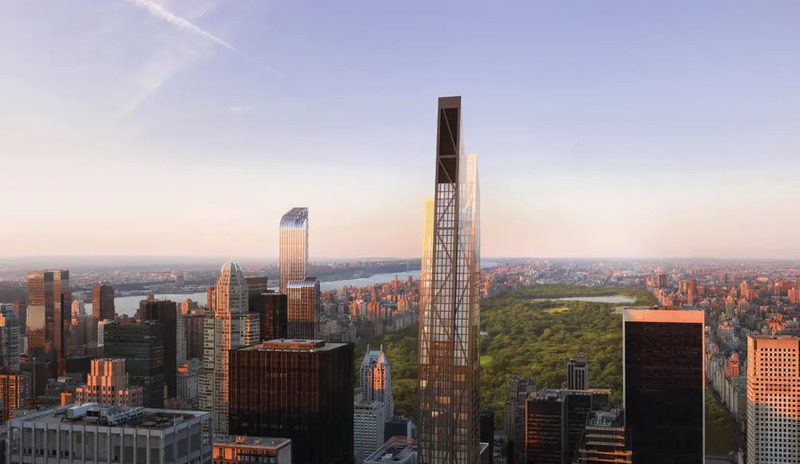 Its proximity to Bryant Park, Grand Central Terminal, and Times Square will be a powerful lure for residents and visitors alike. 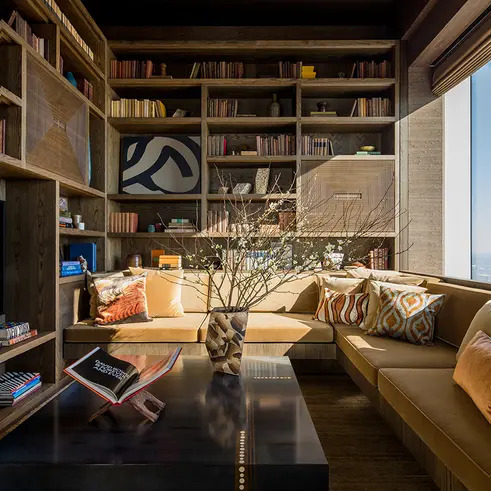 This one-of-a-kind home in Tribeca's highest building is also home to the city's highest outdoor space: The formal dining room, sunlit library, and master suite open up to magnificent terraces overlooking continuous north, east, and west views. They can be reached via the expansive living room, the formal dining room, the enormous master suite, and the library with a gas-burning fireplace. See full details here. 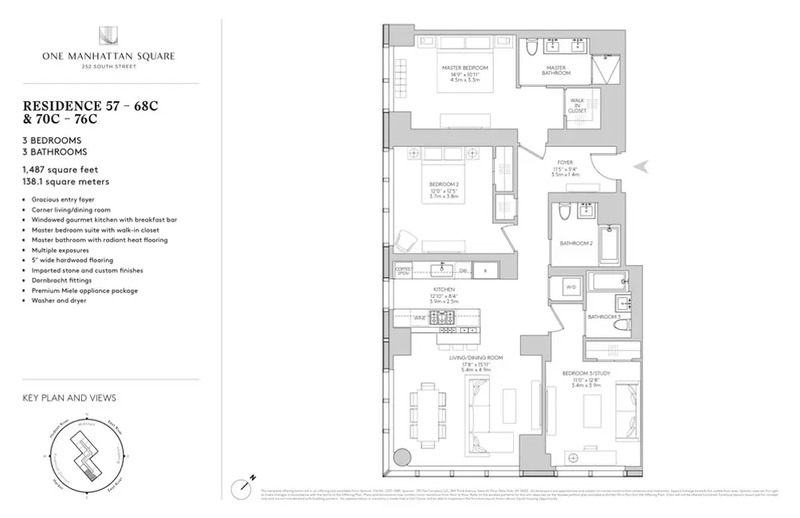 The Four Seasons Private Residences Has 14 Available Listings from $5.695M. 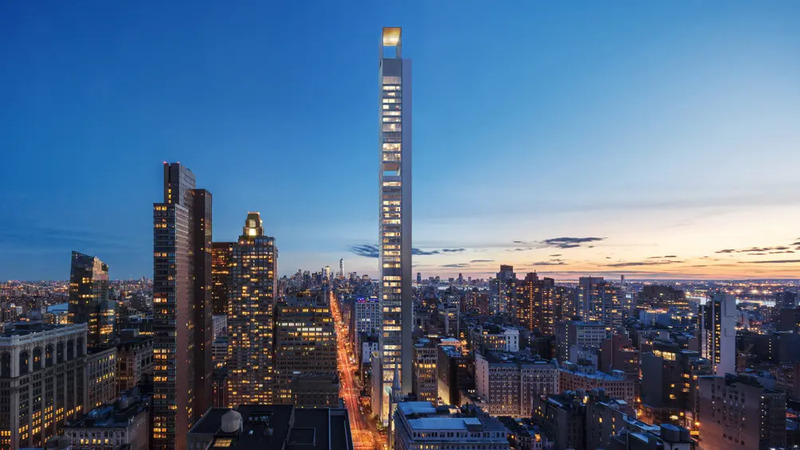 This supertall has been in the works for years, and the result is an 17-story, 10-unit "Villa" portion facing Central Park South and a 70-story tower facing West 58th Street, both connected by an arcaded passage. They have a silvery limestone facade as well as Julit balconies, setback terraces, and ornamental metalwork. 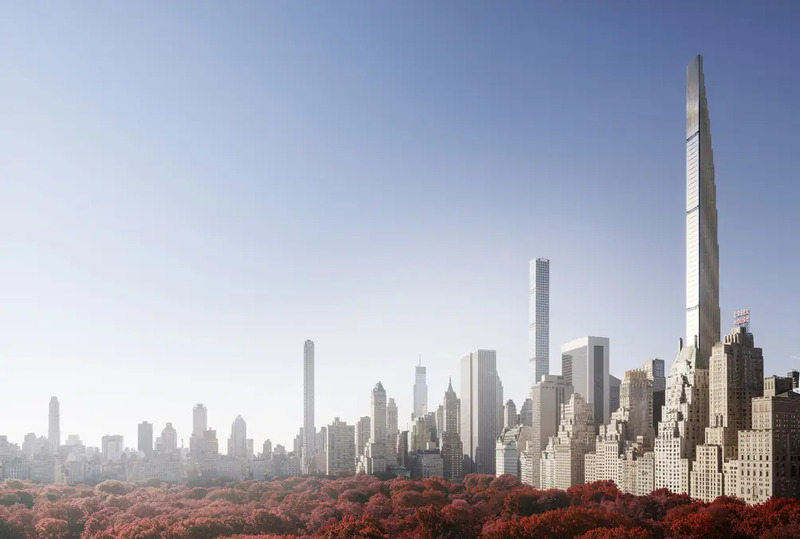 Nearly all residents will have full-length views of Central Park. 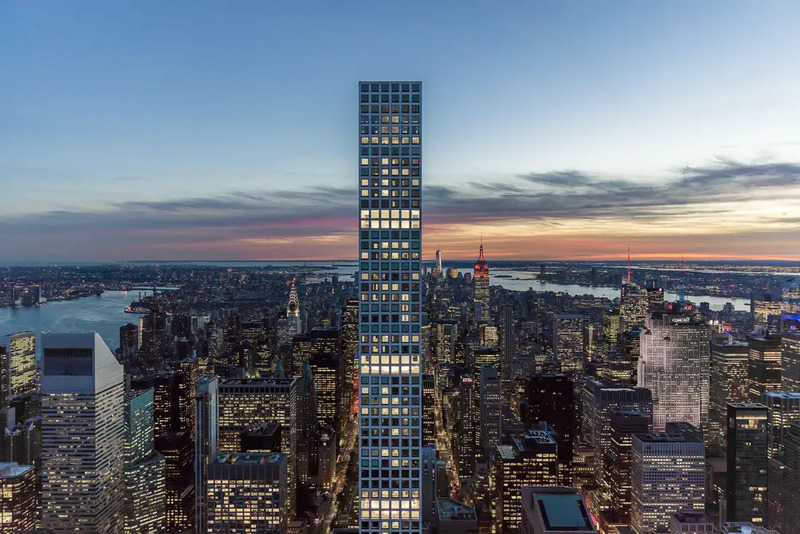 In addition to being one of New York's tallest buildings, this will also be one of the most slender with a height-to-width ratio of 1:20. Many of the 41 planned apartments will be floor-through units with incredible ceiling heights and views. 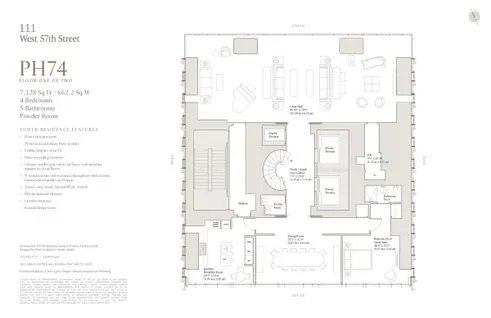 Amenities are expected to include a pool and garage. 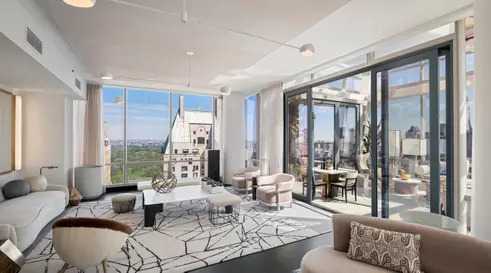 The epitome of Billionaires' Row is exclusive to begin with, but the Spring Garden Residence is one of only two apartments to have private outdoor space. A solarium and terrace boasts a full-length stone bench and a stylish screen that hides exposed ducts and pipes. 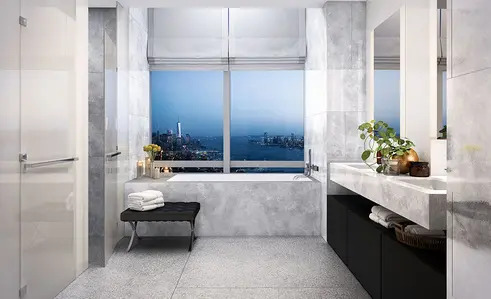 Interior features include a spacious foyer and gallery, floor-to-ceiling windows, custom eat-in kitchen, and master suite with floating wall panel, impressive closet space, and an enormous marble bath. See full details here. 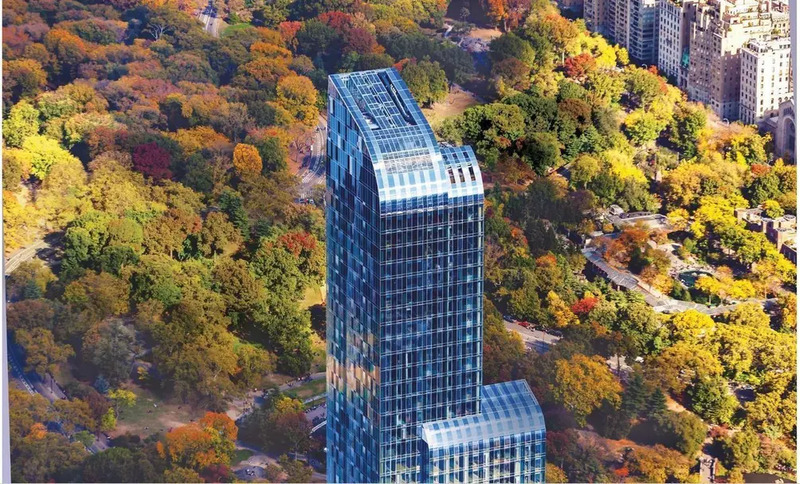 One57 Has 20 Available Listings from $3.595M. 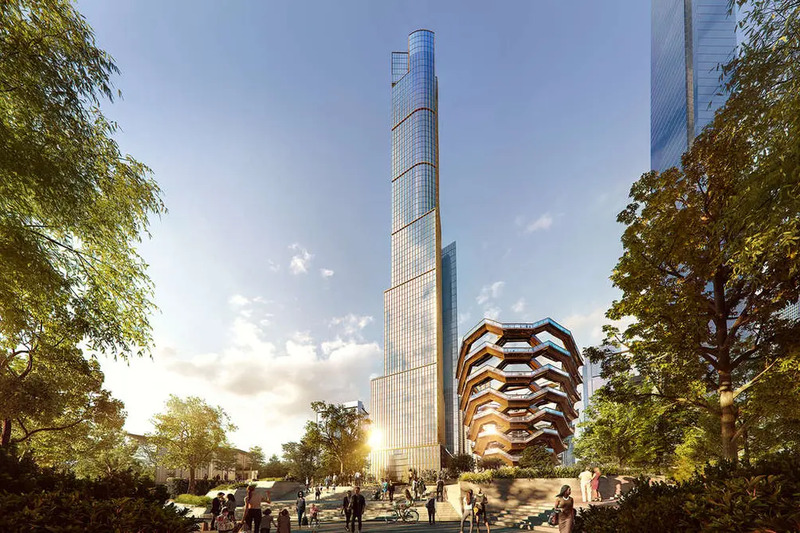 When completed, 35 Hudson Yards will be the tallest residential tower in the highly anticipated mega-development. 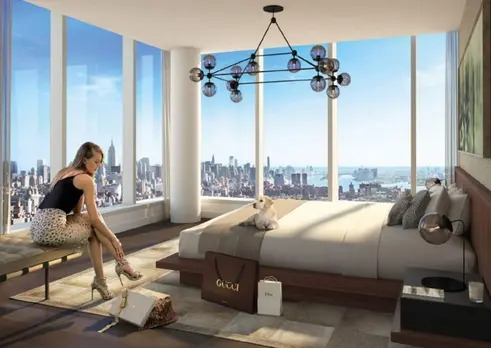 The 143 residential units will feature interiors by AD100 designer Tony Ingrao, walls of windows, and high-end finishes and fixtures. They will share the space with ground-floor retail, high-end offices, and the world's first Equinox-branded hotel and spa. 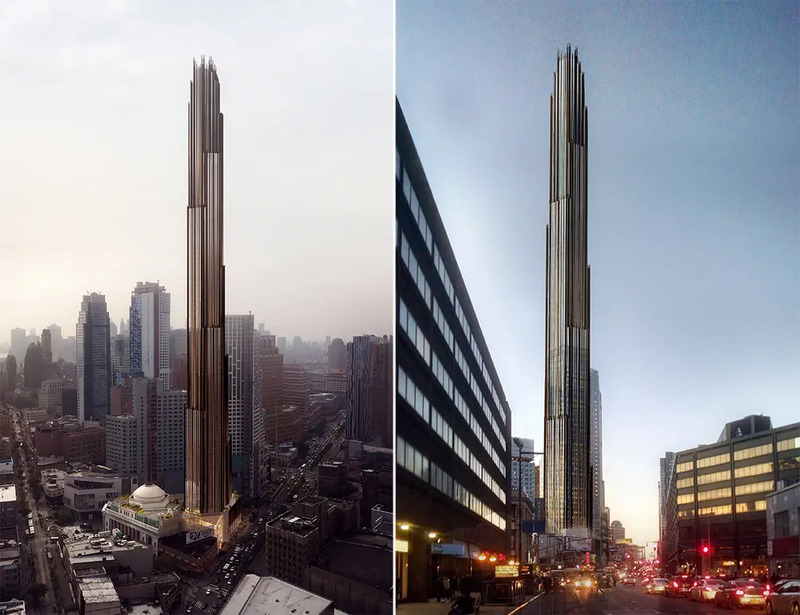 Down the street from One Manhattan Square, another supertall is taking shape. 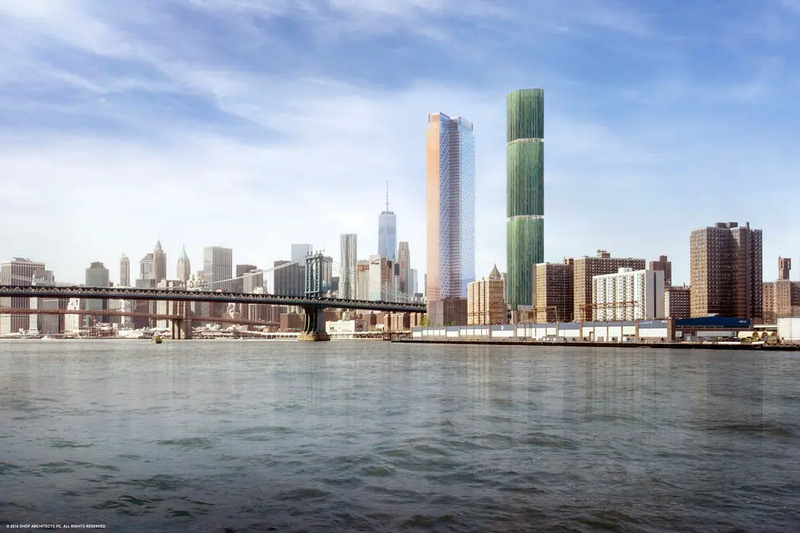 The 77-story tower in the works will have a green terra cotta facade, sky decks, a community garden, and meeting space. Of the 600 units, 25 percent will be permanently designated as affordable housing. 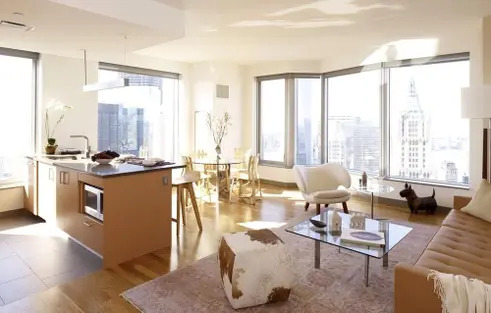 Duplex penthouse above the Museum of Modern Art enjoys dramatic, 360-degree views of Central Park, the Hudson River, the East River, the downtown skyline, and beyond. 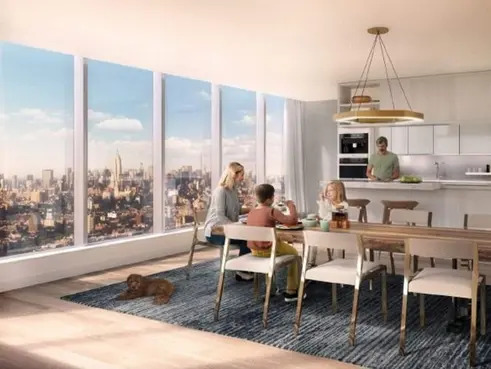 Features include double-height ceilings, a gas-burning fireplace, corner dining room overlooking Central Park, and a private, floor-through master suite. The windowed eat-in kitchen is outfitted with custom cabinetry, backlit backsplash, and top-of-the-line appliances. See full details here. 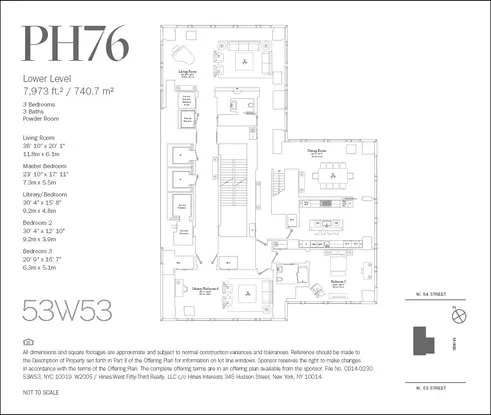 53W53 Has 11 Available Listings from $5.19M. 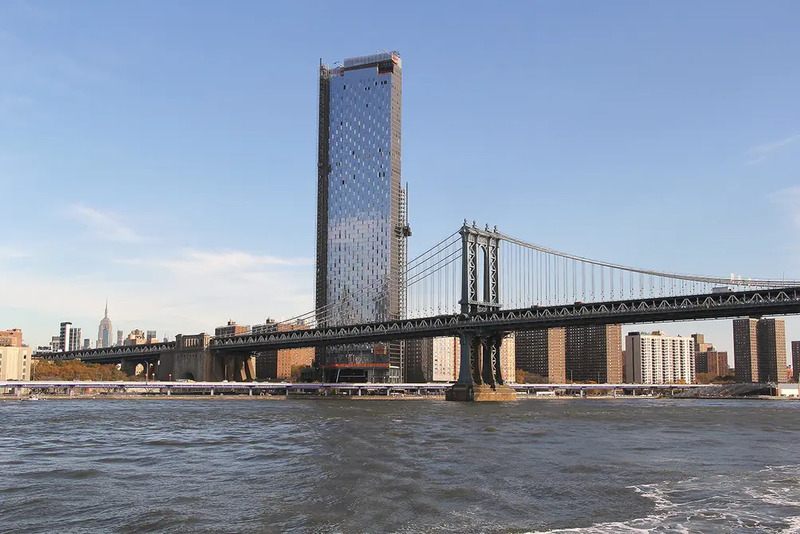 Situated behind the landmarked Dime Savings Bank, this will be the tallest in Brooklyn upon completion. Its elegant silhouette was inspired by Brooklyn's rich history as well as its contemporary energy. The tower will have 500 apartments and a retail podium. Additionally, the Dime will be completely restored as part of this project. 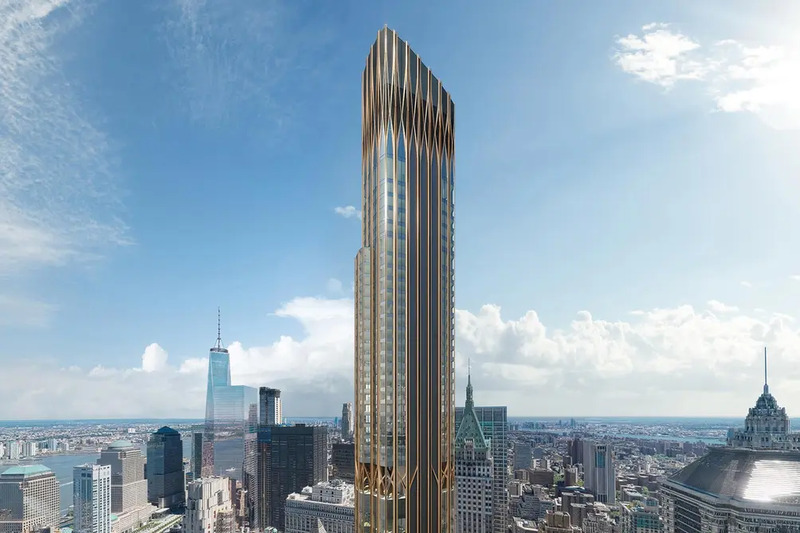 Upon completion, this Financial District tower will be the tallest residential building south of Billionaires' Row. Its golden filigree facade shows Art Deco and Gothic elements. 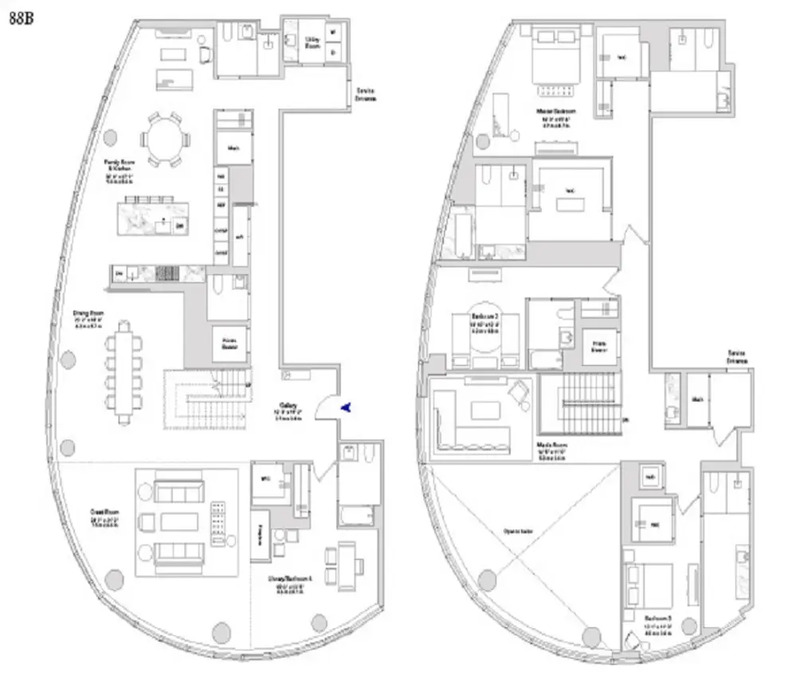 The 209 condos will start 240 feet up, the better to enjoy panoramic views. 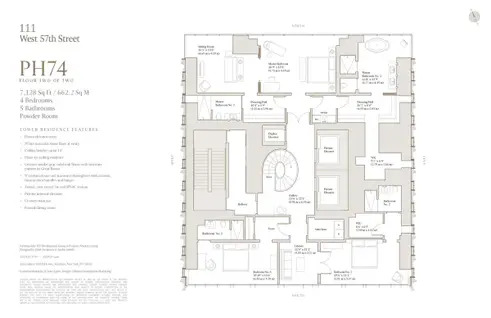 Amenities will include a fitness center, indoor pool, outdoor garden, and library. 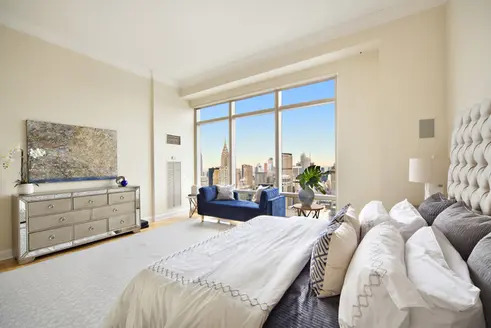 In this spacious Midtown East penthouse, northern, western, and eastern exposures and 10' by 10' windows provide jaw-dropping views of Central Park and the rest of New York City. A gracious entry foyer leads to a grand corner living and dining room. 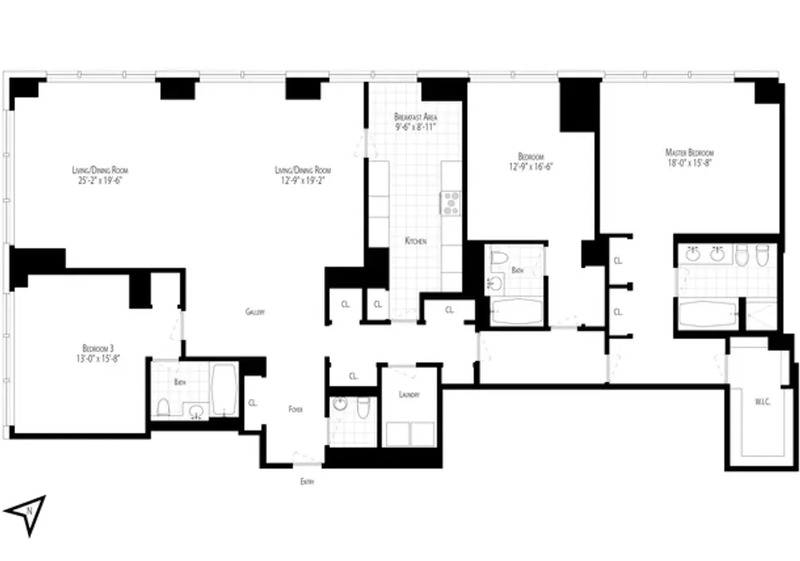 The expansive master suite boasts two walk-in closets and a windowed marble bath with spa-like fixtures. See full details here. 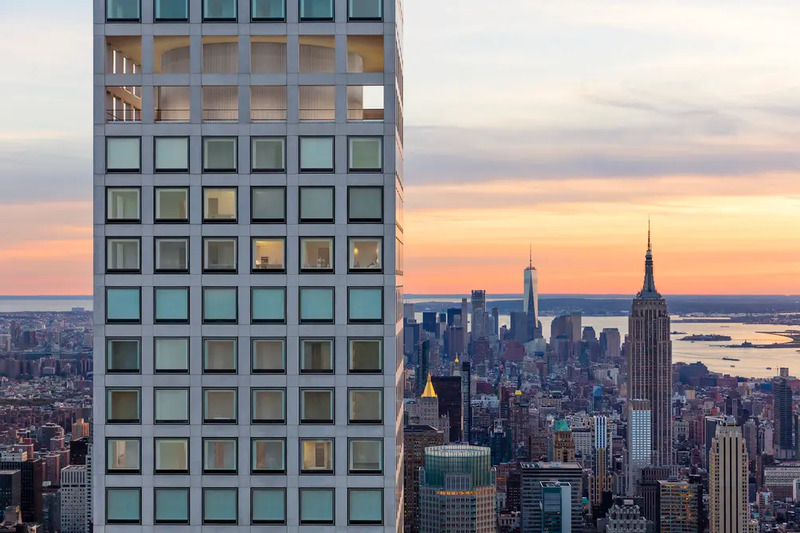 432 Park Avenue Has 8 Available Listings from $14M. 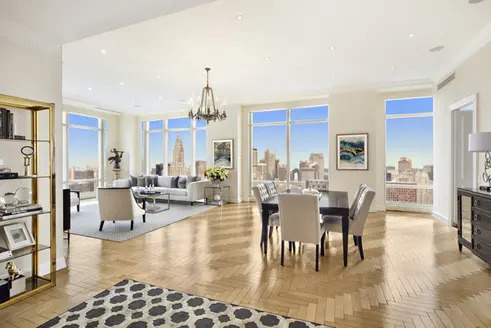 Duplex penthouse on Billionaires' Row is perfectly centered over Central Park to the north and the city skyline, river to river, to the south. An extended height gallery welcomes residents, and a gracefully proportioned staircase connects both floors. 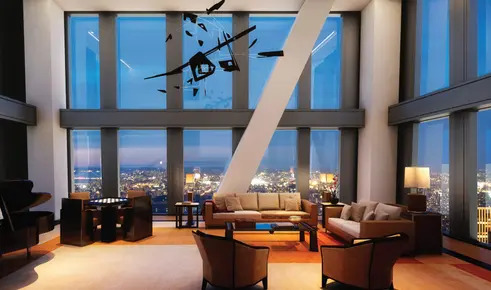 The Great Room spans the width of the tower, boasts 14' ceiling heights, and looks out on Central Park views through floor-to-ceiling windows. See full details here. 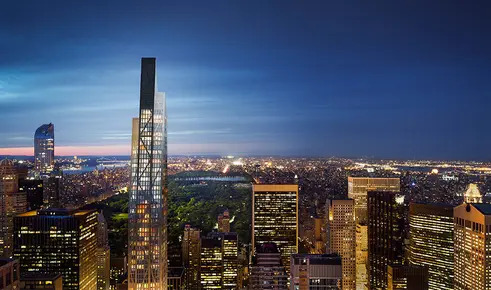 111 West 57th Street Has 7 Available Listings from $18M. 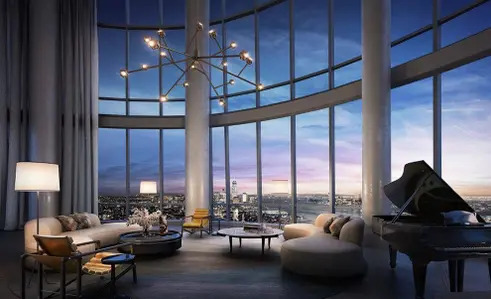 At the home of the highest apartments in the world, residents of this simple, striking glass tower will enjoy panoramic river-to-river views. 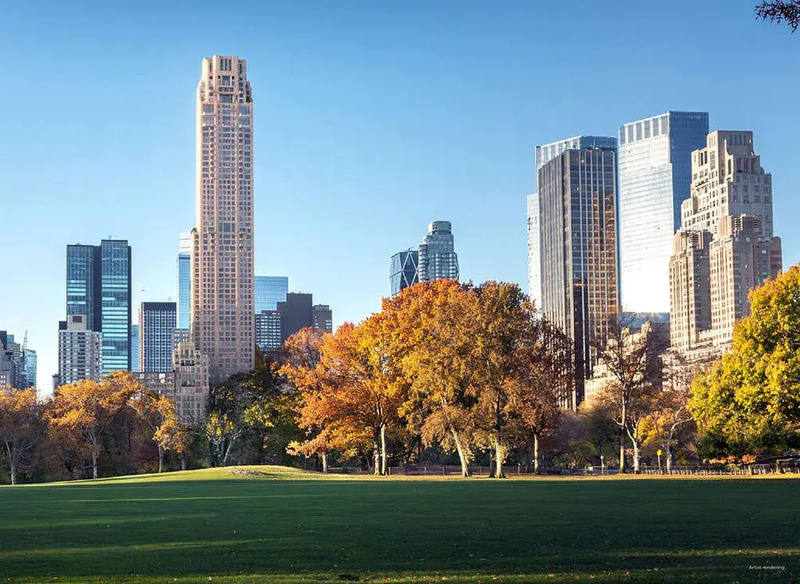 The amenity suite, known as the Central Park Club, will include a fitness center, basketball court, squash court, indoor and outdoor pools, children's playroom, and a central lawn. 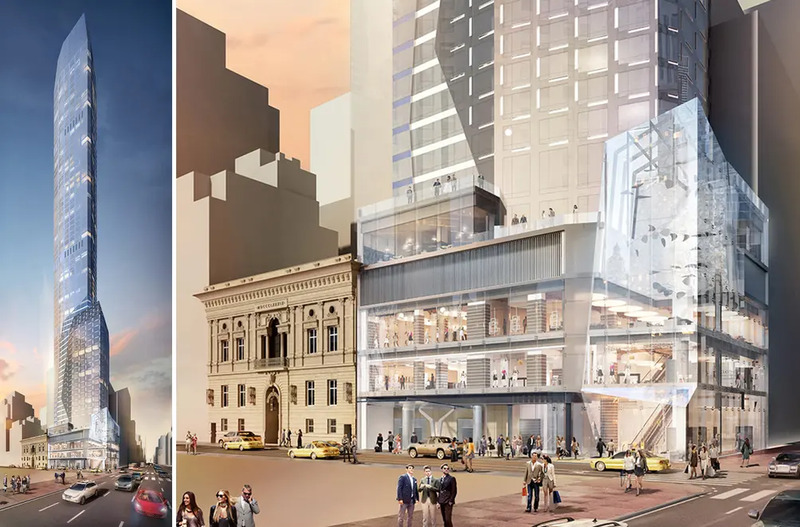 The building will be anchored by New York's first Nordstrom flagship store.